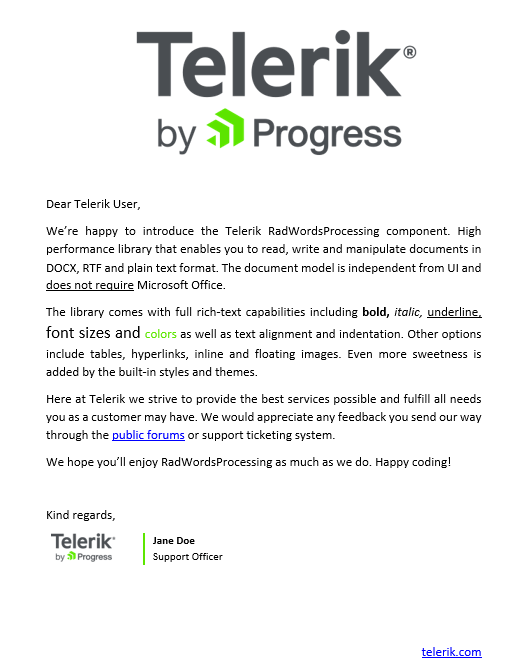 RadWordsProcessing is a processing library that allows you to create, modify and export documents to a variety of formats. Through the API, you can access each element in the document and modify, remove it or add a new one. The generated content you can save as a stream, as a file, or send it to the client browser. Modifying the section properties to adjust the page size, orientation, margins, headers and footers, etc.